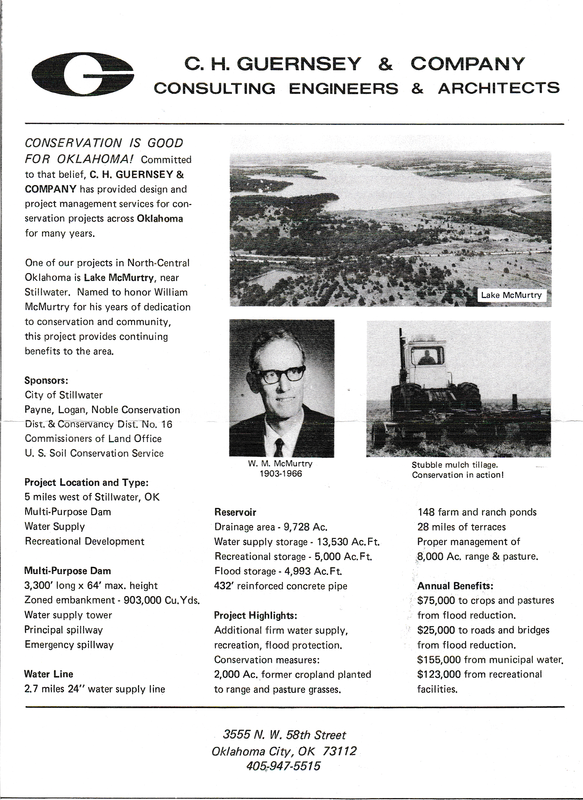 Lake McMurtry was developed in the 1970’s to serve as a flood control reservoir, water supply, and a public recreation area. The lake was named after Mr. William McMurtry. 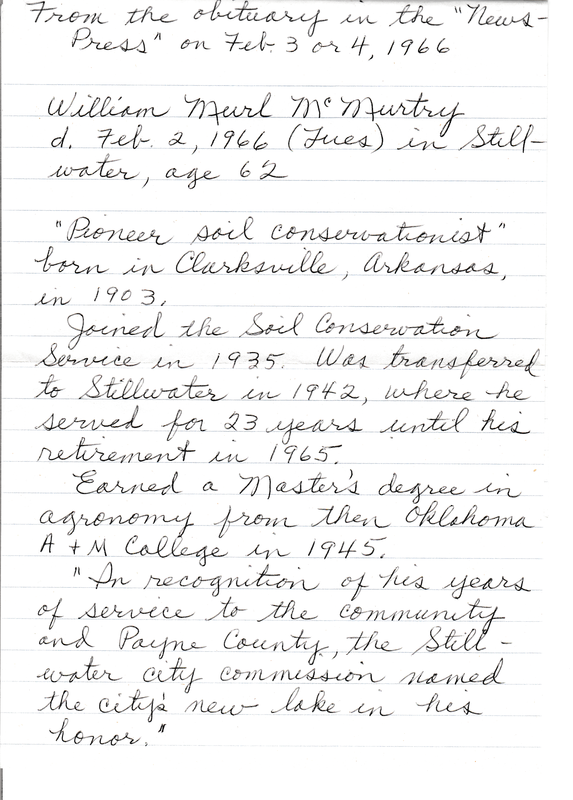 He worked for the Soil Conservation Service for 23 years in Stillwater and because of his dedication to Payne County - the City Commission named the new lake in his honor. More detailed information can be found in the following articles. 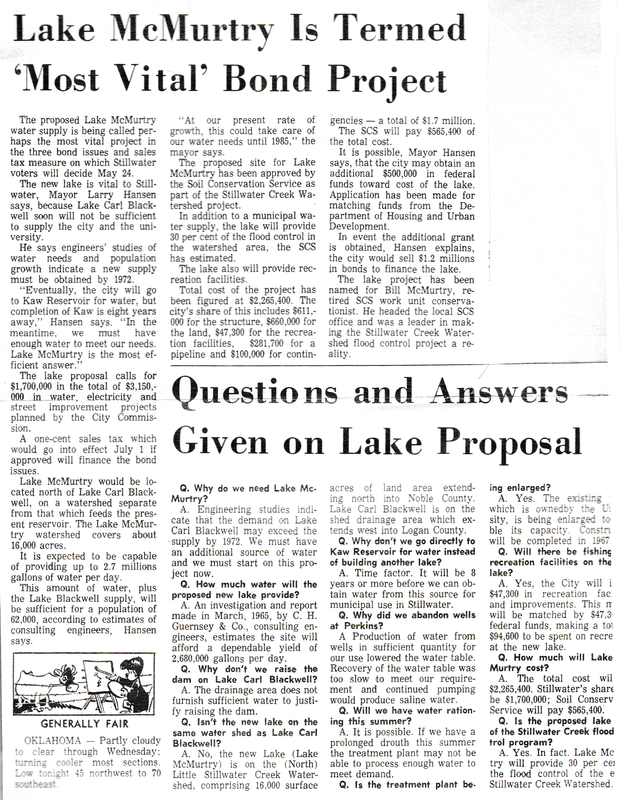 Image A: Article from the Stillwater Newspress with information about the proposal of building Lake McMurtry. 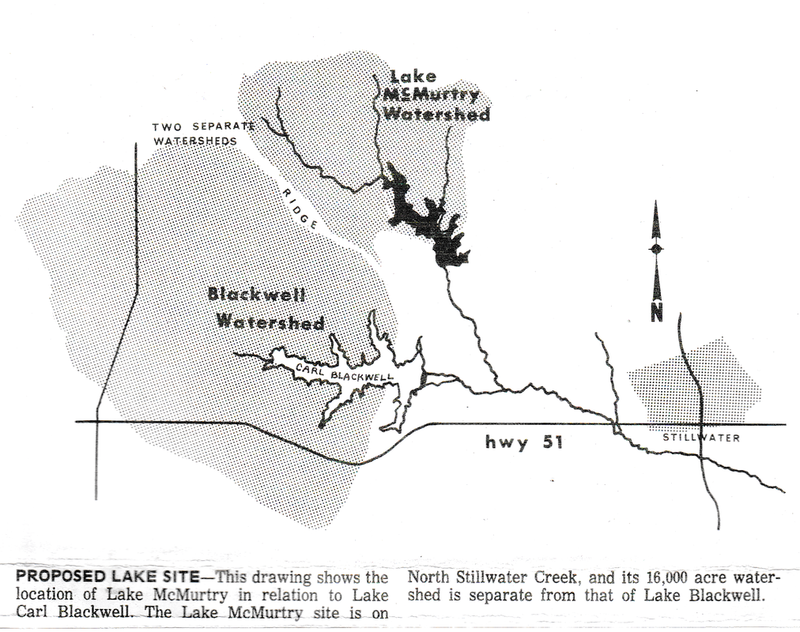 Image B: Proposed location of Lake McMurtry in the Stillwater Newspress from May 17, 1966. Image C: Leaflet from the C.H. Guernsey company that provided specific information about Lake McMurtry. Image D: Excerpt from William McMurtry's obituary.